This Tiffany-inspired accent lamp has a chic style that's perfect for accenting a wide variety of home decor styles. 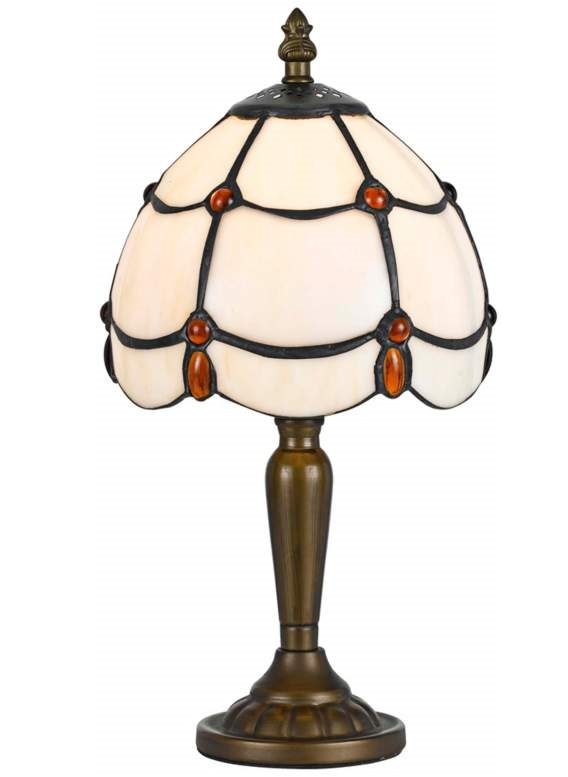 Add soft color and classic style to your living space with this Tiffany-style accent lamp. The design features a handsome antique brass finish zinc cast base. It's topped with a cream colored art glass done shade with decorative amber glass accents. • Art glass dome shade with cream and amber color tones. • Shade is 6 3/4" wide, 5 1/2" high. • Base is 3 1/2" wide.